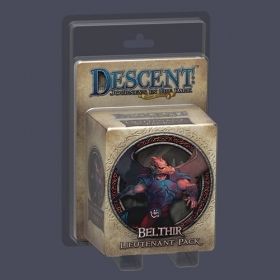 With Lieutenant Packs for Descent: Journeys in the Dark Second Edition, you can replace the game's lieutenant tokens and bring the overlord's most powerful agents to life. The Belthir Lieutenant Pack features a detailed plastic figure that places its deadly operative, the mercenary Belthir, on equal footing with Terrinoth's champions. Moreover, it includes a plot deck and rules that allow the overlord to pursue devious new strategies, inserting this fierce dragon hybrid warrior into any quest as his nefarious agent! 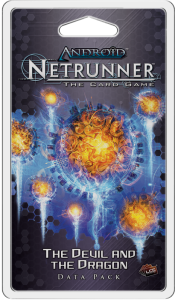 The Devil and the Dragon, the fourth Data Pack in the "Kitara" cycle for Android: Netrunner features three copies of twenty new cards and continues to explore the Sub-Saharan League in the world of Android through the eyes of new Criminal and Weyland identities. 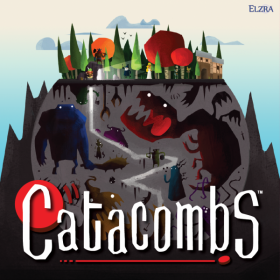 Catacombs is an action/dexterity-based adventure board game. 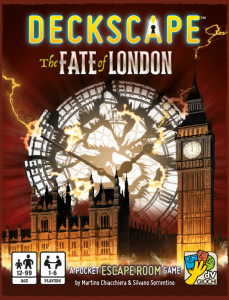 One player controls the Overseer, controlling the monsters of the catacombs; the other player(s) control the four heroes who cooperatively try to defeat the monsters and eventually the Catacomb Lord. Each of the heroes has special abilities that must also be used effectively if they are to prevail.